If you’ve had your furnace for even just a season, then you know the typical noises that come from it when it’s in operation. So if it starts to make any unusual sounds while it is running, then you should probably have a professional come inspect it as soon as possible. These noises can include clicking—this might indicate a cracked heat exchanger, which is a very dangerous problem to have and requires an immediate inspection and repair—banging, clanging, squealing, or scraping. Most of these problems indicate a component has become loose, or that there is increased friction due to a loss of lubrication. One of the first indicators that homeowners notice their furnace is experience problems is a drop in output. 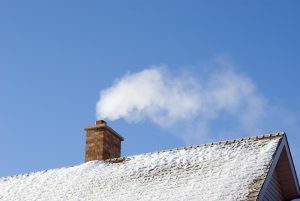 Your furnace may be having trouble putting out enough heat for a few different reasons. It’s possible that the air filter in the furnace is clogged, which can happen if it isn’t changed often enough. This cuts off the majority of the airflow from entering the furnace, preventing it from circulating as much heat. Another possibility is that the burner assembly isn’t working as it should, if it’s a gas-powered furnace. Without a properly functioning burner assembly, your furnace can’t generate any heat at all. If some of the jets are still operating, then the furnace may be generating a little bit of heat. If you take a look at the assembly and notice that not all the jets are igniting, then we encourage you to shut off your furnace and give our pros a call. This is the process where a furnace system shuts on and off rapidly. If you notice this right after your heater is installed, then this unfortunately means the system is too big for your home. But if you’ve had your furnace for years and this is the first time the problem has come up, then it’s caused by something else. There are a number of potential reasons this might occur, so the best thing you can do is give us a call so we can inspect your heating system.